The most coveted Texas Wine Trail of the year! 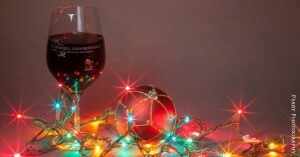 Vineyards and tasting rooms are cloaked in lights, warmth and holiday fun. Receive a collectible Christmas ornament and enjoy 1 – 3 complimentary tastes per person at each winery and special discounts on wine purchases. This is a self-guided wine trail to all 36 participating wineries. Tickets are limited and must be purchased online. Additional Christmas ornaments will be offered to wine trail participants at a 50% discount. During regular winery hours for 10 straight days. $60 per couple or $35 per single.